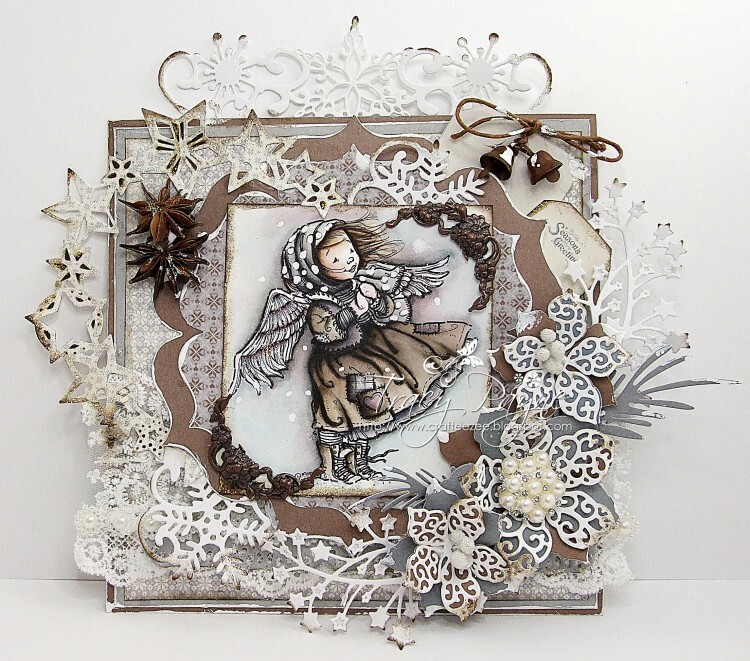 Tracy here sharing a card made using the Glistening Season collection. Blues, creams and browns are my favourite combination so I really had fun with this collection. I used the Pion Design Palette to co-ordinate with all the papers. This is just darling, Tracy! Gosh, what’s not to love on this card! Love the die cuts and the distressing you did!